Keeping their little ones safe is the first priority of every parent, and it’s especially important as so much of the world seems to present potential risks for babies and young children. Luckily, there’s no need to wrap them up in cotton wool and keep them at home 24/7 under your watchful gaze. There are certain straightforward things you can do to help take care of your child’s safety well-being without going mad with anxiety. Without further ado, here are some straightforward tips. Cold weather isn’t pleasant for any of us, but it’s especially risky for the very young and very elderly, who are more vulnerable to catching diseases, and whose bodies aren’t efficient at maintaining their own core temperature. In the case of young children, there’s the added problem that they can’t just go to the wardrobe and pick out a sweater if they’re a bit chilly. It’s your job to notice and warm them up. Equipment such as pushchair footmuffs and blankets are essential for outings on chilly days, and warm pyjamas, hot water bottles, and personal heaters can be essential at home. Running out of baby supplies when out and about isn’t just inconvenient, it can have a negative effect on your baby’s health and wellbeing. Running out of spare nappies, for example, can lead to a bad rash, while running out of food can contribute to health upsets. Always pack more than you think you’ll need, of all the essentials, before heading out for a day trip with your little bundle of joy. There are a lot of things in a house which can be hazardous to a young child, from pointy corners, to staircases, and long table cloths that they might grab onto and pull. There a huge industry based around supplies for childproofing a home, and you should take advantage of it fully. 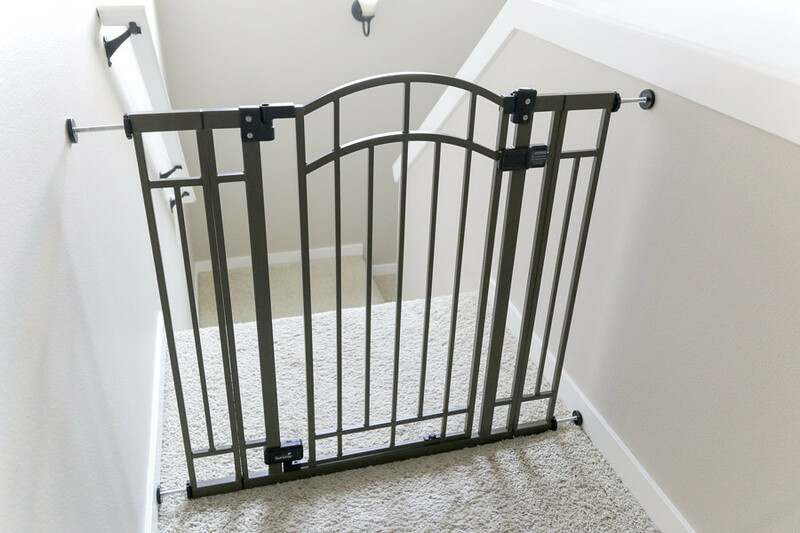 Make sure gates are set up at the tops and bottoms of staircases, cupboards are fastened closed, and any potential hazards you can identify are dealt with. Letting your child play outside isn’t just great for their sense of wellbeing and their adventurous spirit, it can also have a greatly positive effect on their health. It’s well-known that part of the reason why allergies and childhood diseases are so common today is because so many children don’t spend enough time in nature in their formative years. Regular exposure to small amounts of pollen, mud, etc., can all help to develop a child’s immune system and make them more resistant to these things in later life. Just be sure to supervise your child to make sure they take things too far. Our own homes contain many toxins today which have been linked to conditions ranging from breathing disorders, to hormone imbalances and cancer. High amounts of mould, dust, and particles in the air can irritate the lining of the lungs, while plastics like BPA can contaminate water and cause endocrine issues. To help protect your child against chronic health issues, consider buying a HEPA air purifier (as well as air purifying house plants) and a water filtration system, or at least a filter jug.